We updated this feminine silhouette with exposed zipper details for a little edge, then crafted it in European wool for a polished (but never stiff) look. Made in NYC. Final sale. Forgiving, looser fit through waist and hips. Our model is 5'8.5" and wearing a size 2. 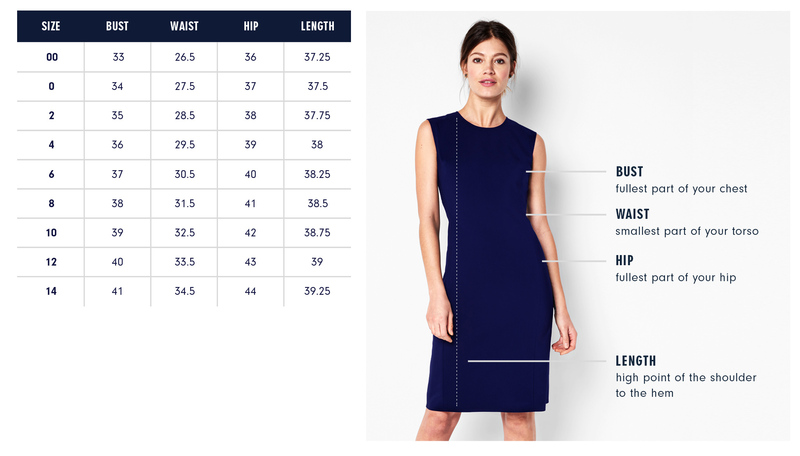 Below are the exact measurements of the Thompson Dress. All measurements are in inches. For general sizing and measurements, please visit our Size Guide. Forgiving, looser fit through waist and hips. Slightly dropped-waist sits a bit lower than other styles. Hemline falls above the knee. I wanted to integrate both feminine and contemporary elements into a classically tailored style. The sleeve combines a sportswear-inspired raglan shape with the feminine touch of pleats.